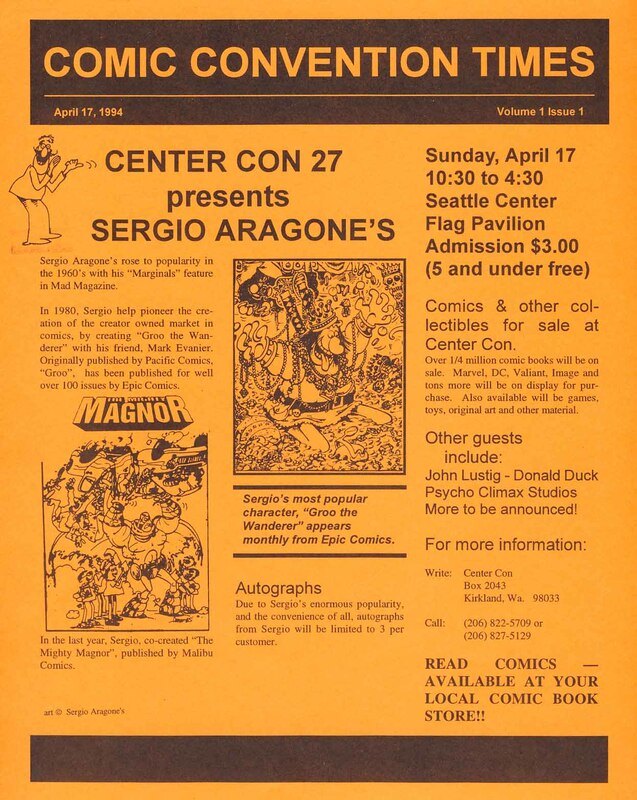 Center Con 27 - Art by Sergio Aragone's. Sergio's second appearance at our show. Art by Matt Groening and Quinton Hoover. 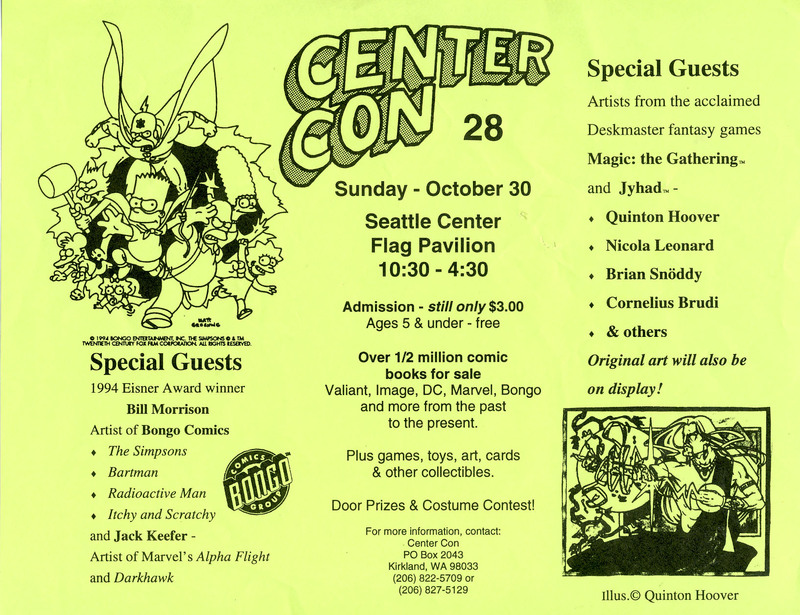 Bill Morrison, our lead artist, was a major player at Bongo Comics, the publisher of The Simpson's Comics.